who passed away a couple of weeks ago. He was a very early member of the Computer Arts Society and the first editor of our journal PAGE from 1969. 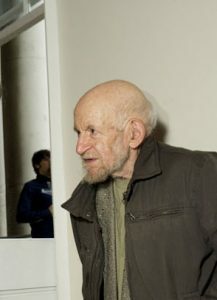 This entry was posted in computer art and tagged Computer Arts Society, Gustav Metzger. Bookmark the permalink.